Eleven-thirty in the evening.. I know I should be sleeping or resting.. But there I was, waiting for our plane and hoping we won’t be delayed..
We were on our way to Coron and we had a total of (more or less) 7 hours of travel time including the stop-over in Manila. It was a connecting flight because there was no direct flight from Cebu to Coron at the time of our booking. I was around 5 months pregnant at that time and honestly it was exhausting and my back was aching. We were at the airport and looking for something comfortable to sit on (and maybe rest my foot on) was next to impossible. I then settled for my neck pillow tucked between the hard chair and my back and waited for the plane to arrive and maybe get some ‘zzz’ on the plane. This trip to Coron was planned months before. I didn’t thought of cancelling any of our plans (though my husband was very much considering it). It’s one on my bucketlist for Palawan’s tourist attractions, so cancelling was undesired. 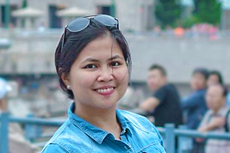 Like the well-organized person my sister is, details of our trip was already booked prior to the trip including our accommodations, coron itinerary, places to eat and travel agencies. We only had a few days allotted to explore Coron, so we’ve decided to book travel agencies in advance especially for our Calauit Safari and Ultimate Coron Tour. However, if you decide just to go ahead and head there without any advance booking, it’s not a problem at all. There are a lot of agencies that you can inquire upon arrival. We were handed out brochures for several types of tours at the Arrival Area. Travel agencies can also be accessed at the town proper. Advertisements of tour packages are also available within the town so there’ll be plenty of options. We arrived in Ninoy Aquino International Airport (NAIA) Terminal 3 at around 2 AM and had to wait for the shuttle service to take us to Terminal 4 where our flight to Busuanga was stationed. Our flight to Busuanga, thankfully, was not late. Plus the weather was great. 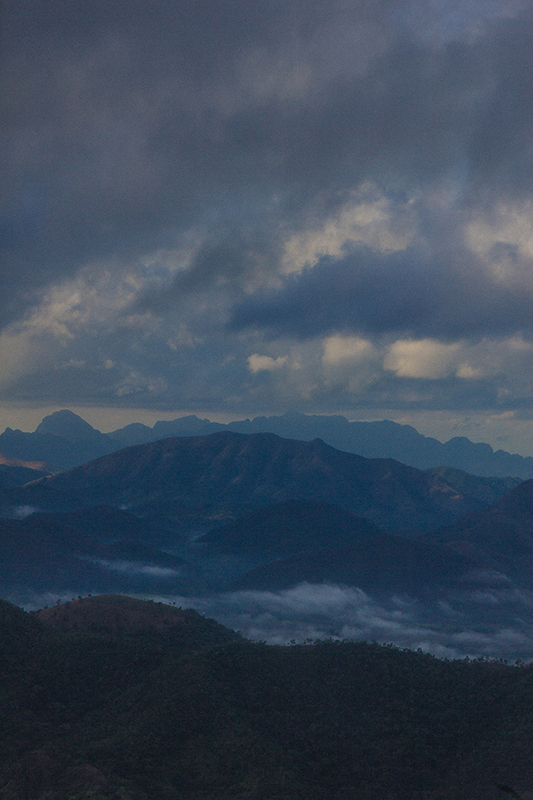 This gorgeous aerial view of Coron was our early morning reward. It seemed like a welcome greeting to us from above the plane. Upon arrival, our driver from the Darayonan Lodge Coron picked us up from the airport. Good thing too that the lodge allowed early check-in. I’ve prepared a review of our stay at the Darayonan Lodge Coron BTW. Since it was a little too late for any tours at this time, we decided to have our own Coron Town Tour. We decided against taking a travel agency for this particular activity as the town was small and it was fun getting to know the area by foot and commuting like a local. After breakfast, we immediately headed out and took advantage of the weather as it was still not too hot. In the morning, we mostly covered areas within the town proper including the St. Augustine Church, Lualhati Park and Cashew Harvest. We took a brief break after a delicious lunch at Lolo Nonoy’s Food Station and decided to freshen up and rest for a while. Our town tour resumed again at around 4 PM where we headed to Mt. Tapyas for a 720-steps hike and a nice hot bath at the Maquinit Hot Springs. We did not thought of hiring a tour guide to assist us with the Coron Town Tour. You can easily do-it-yourself too!. On our second day, we once again woke up super early in the morning for our 4 AM pick up to Salvacion, Busuanga. We were advised at the Reception Area that there’ll be an opportunity for a bit of swimming after the Calauit Safari Tour. We decided against bringing additional clothes however, as we were too lazy to go and get extra clothes. LOL. The tour took a whole day to complete and it included an island hopping at the Busuanga Bay afterwards. Overall, Calauit Safari Reserve was pretty interesting. We ended the day with a delicious dinner at the famous Lobster King in Coron. Definitely a must-try! Our activity on Day 3 in Coron was what I’ve been looking forward to. I’ve really been looking forward to see all the amazing land and seascapes of this beautiful island..
Call-time was a bit later than the previous day. The port where the island hopping will start was just near the Lualhati Park. A van from the Travel Agency picked us in the morning. We were part of a Joiner Tour, meaning the trip was not exclusively for us. We had a few small groups join us too. There are several island hopping tours in Coron, we however, picked what the agencies call as the ‘Coron Ultimate Tour’. 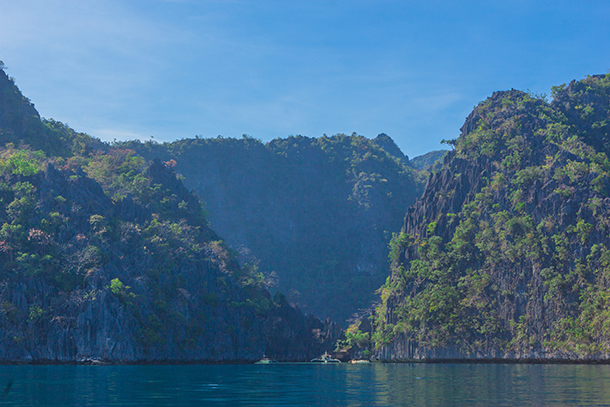 The tour took us to the lagoons and lakes that Coron is famed for. Sadly, we were not able to visit Kayangan Lake as there was an on-going investigation for the deaths/disappearance of two (2) tourists. Nevertheless, Barracuda Lake did not disappoint (it was the replacement). The water was very clear and pretty awesome to swim in. We had lunch on a picturesque set-up at the Beach 99. Such a pretty ambiance for a relaxing lunch! The tour ended with us on high spirits! It was so amazing experiencing the Twin Lagoon and the Barracuda Lake on such a perfect day. When we returned to the Lodge, we decided to take a dip on the pool to freshen up. We feasted on a meal of fresh seafoods at the Santino’s Grill. It was just one of the Coron restaurants that we tried in during our visit. Our flight back to Manila was around 2:50 PM. Hence, we’ve decided to have a lazy morning and just stayed at the lodge to complete our packing. As expected, there was a bit of a delay on our flight back. We did not mind it that much, though. There are some things that you can get used to, I guess. LOL. 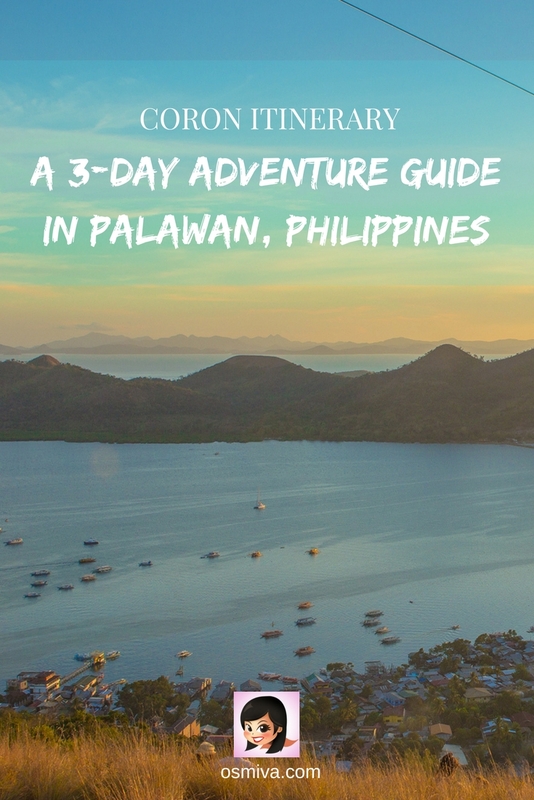 Headed to this part of the Philippines for a brief period? Here’s our sample itinerary that you can look into for your planning convenience! Enjoy! Hi Rhena! Our budgeted expenses was more or less at 7,577 Php/ head. That’s exclusive of the airfare. Thanks for sharing the itenary.looks like a great place.hope will get s chance to visit Coron soon. Oooh this looks like an amazing few days, although you must have been exhausted at the end of it! That Coron Ultimate Tour looks fantastic! I wish I’d gone to Coron when I was in the Philippines years ago, it looks so beautiful. I liked the fact that there was airport pickup as well! The itinerary looks a lot of fun! How was the food? Were there vegan/vegetarian options? It was very convenient indeed! 😀 The food was great. Too bad we weren’t able to check out any vegan options though.. Most on the menu was seafood. Wow, what a beautiful place! The Philippines never ceases to amaze me with their beauty, one day I will visit! Thanks for sharing your tips. I’d love to go to Coron one day. The Philippines has been on my list for so long but have no real idea where to start. Really helpful post! Your photos look amazing! Such a wonderful guide! It sounds like a lovely place. I love the photos of the water because that’s my favorite. Can you snorkel there? It sounds like you packed in loads of adventure! Yes, definitely! The water in Coron is incredible with so many gorgeous corals! 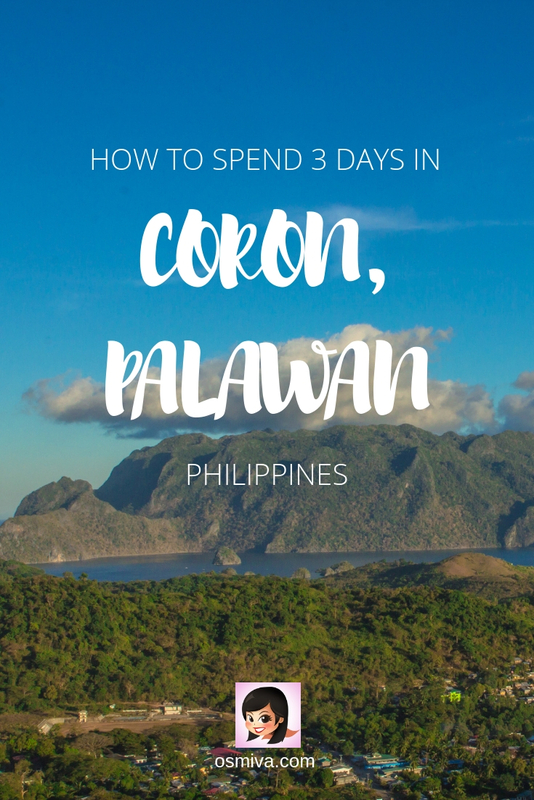 This sounds like a great itinerary to visit Coron, Philippines. Who would have thought that there was a real safari park there? 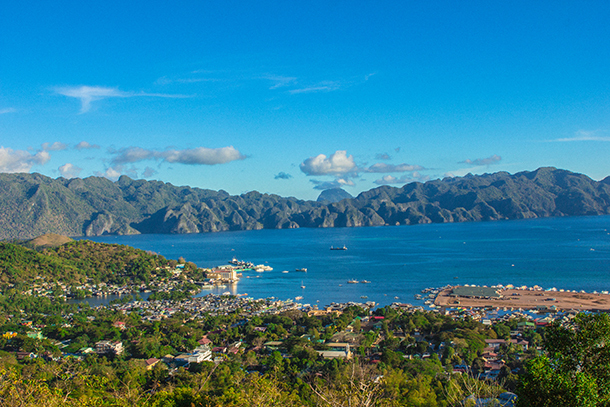 I think Darcee would love the Ultimate tour around Coron. To see all that beautiful nature up close and personal is right up our alley! I am going to the Philippines in April! Any Philippines post gets me excited haha. Oh the safari looks cool! wow it looks like you did so much! even while pregnant! You are a superstar to have so much traveling energy at 5 months pregnant (and with a late night flight – they’re either the very best and you sleep like a baby or the absolute worst and it takes days to recover). Looks like the effort was worth it as your photos are lovely. I love how detailed this is, truly appreciate the breakdown of the itinerary as well as the budget. It’ll be very helpful in trip planning so I’m pinning for later 🙂 Thanks! Those pictures from the airplane are amazing. I would love to go on the Calauit Safari Tour. And the Ultimate Coron Tour looks like a great way to see and enjoy the region with someone else doing all of the driving/boating. So nice that the lodge allowed you toc heck in early after such a tiresome and exhausting flight. We love taking self guided walking tours of new towns too – as you said, it’s a great way to get to know a new place as a local. 4am is an early wakeup but it looks like the safari tour would be quite the adventure! The Coron Ultimate tour sounds like a fabulous island hopping adventure – such beautiful seascapes in this part of the world. Thanks for sharing this itinerary – I would love to visit Coron for similar experiences to you! Looks like time well spent. 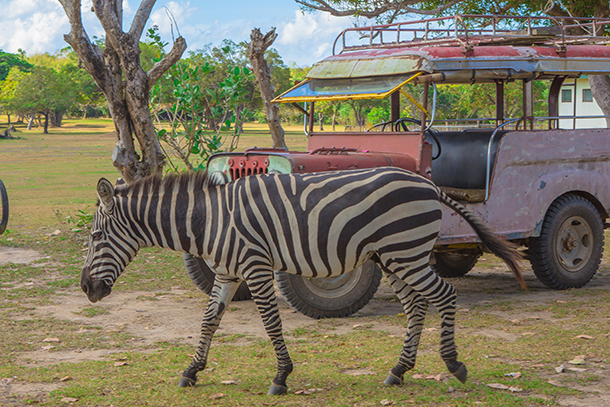 I did not know you had Zebras in Coron! I don’t mind spending 3 days in Coron next time I am in Philippines. It was.. You should.. Coron is beautiful! Very interesting post! I like how you didn’t let pregnancy discourage you of travelling! Also beautiful pictures! Oh, I visited Coron earlier this year and absolutely loved it. I found some great places to eat there and the island hopping was simply amazing! So great to hear that! There is.. It also came a bit of a surprise for me as a matter of fact. Great itinerary! I’ve been looking into Philippines islands for a future trip maybe later this year. Hiking the 720 steps to the top of Mt Tapyas and rewarded with the hot springs is worth it! Was the Coron tour busy? Is Coron a good spot for diving? Coron is so beautiful with the stunning landscape. Thank you! Nope.. The town was pretty laidback.. So good to explore it like the locals! 🙂 Yep! Definitely! There are so many wrecks that you can check out.. I’d love to go see it too when I learn to dive! wow..this is indeed very amazing. Congratulations and all the best for your coming baby. Cashew harvest! Just that alone makes me want to visit Coron. 🙂 I’m mad for cashews. The landscape looks amazing too! So good to know! I’m sure you’ll love it.. It was very tasty! That is a very reasonable rate, I daresay! And I loved how concisely you put the entire trip together! The views from the plane were gorgeous! What a nice treat to start the morning off after a long night of flying! It sounds like you had a wonderful time in Coron-the area looks really beautiful and I would love to explore sometime. The hike up Mt. Tapyas and the Maquinit Hot Springs sounds like a really great time. I would love to see the lagoons and lakes on the day three tour you took as well! I have been wanting to go to Coron it looks so beautiful there. But I had no idea there was a safari tour you could go on – how interesting. I also hadn’t heard about the tourist drownings in Kayangan Lake – bummed that you were not able to visit. I hear that it has been reopened now? Yes.. It was re-opened days after we left.. I’d love to go back one day and visit it! 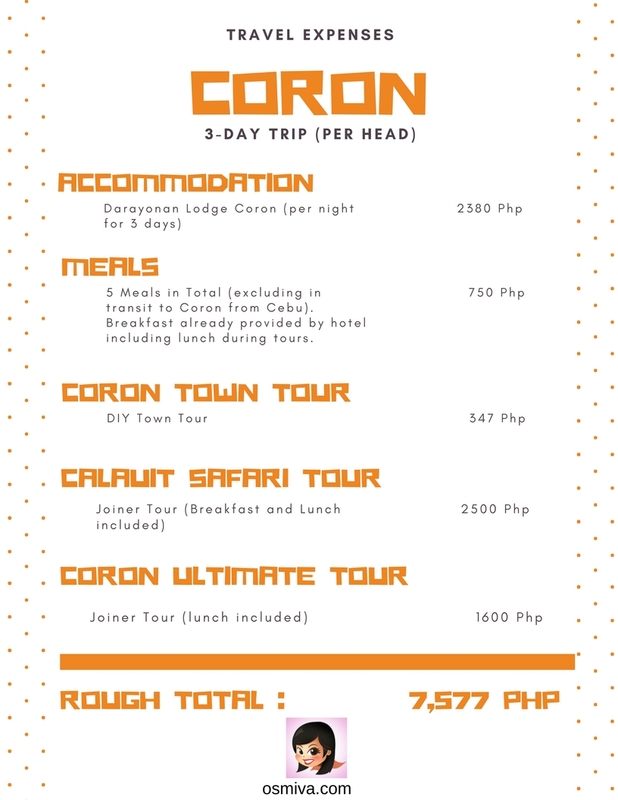 This looks like an awesome itinerary for Coron. I really need to get to the Philippines so I can spend more time there. I love the fact that you can see zebras in Coron! Crazy! I love the itinerary kabayan! Always wanted to Coron but just kept on hesitating because of the prices of the travel agency and stuff. But definitely, going to look in to Coron the next time we’ll be home again! I’ll be posting an article about our recent trip to Manila and Ilocos (northern part in Luzon) if you want more options when you visit the Philippines..
Breathtaking pictures and definitely and unforgettable experience, Marvi! That safari tour must have been fun. An exceptional itinerary which I hope to use soon! 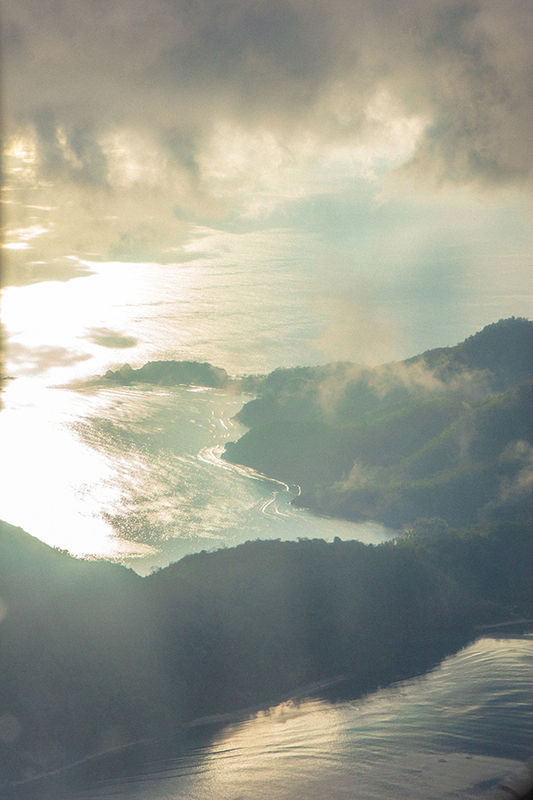 It definitely looks like a pleasant greeting from Coron when you arrived with that view. The Philippines has rapidly moved up our list and this is just another location to add now. I didn’t realize there were safaris there as well. What a beautiful scenery – would love to be there now. I love the contrast between the mountains and the see – especially when they rise directly from the surface of water. Amazing! Wow these pictures are beautiful!! Thanks for sharing all the information. I look up to you for traveling 5 months pregnant on such a long trip! Amazing!! THis place is so high on my Philippines wish list. It really is so beautiful. Would you recommend it for families? And what would you suggest as a daily budget. Amazing… these pictures looks really wonderful. I would say.. Photography is really good ! What a beautiful scenery – would love to be there now. I love the contrast between the mountains and the see – especially when they rise directly from the surface of water. Amazing!Cebu Safari and Adventure Park is a place I know by heart that you would love to try travelling too someday, I’m sure you’ll love the place! Such a good itinerary! We are hoping to explore the Philippines next year so will keep this in mind. Thanks for sharing!